In a lot of ways, injuries have been the story for the Huskers through the first five weeks. Nebraska has lost both starters and back-ups at a number of positions on both sides of the ball yet they’ve managed to survive and start off Big Ten play 2-0. 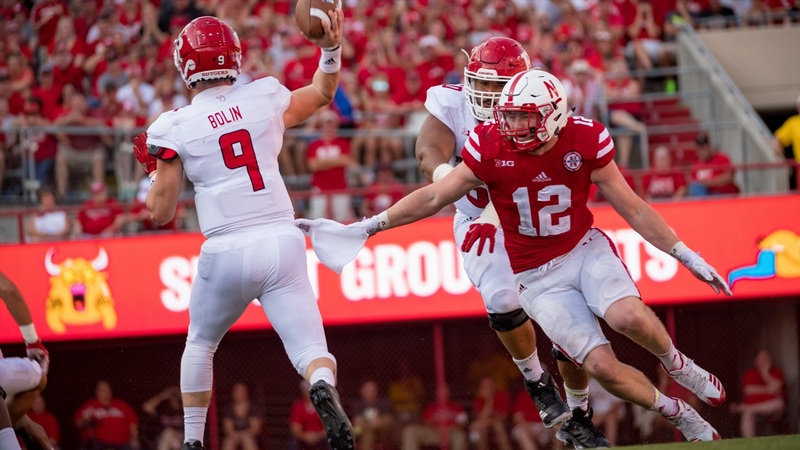 A big part of Nebraska’s ability to overcome those injuries has been the versatility of the players who have stayed healthy, and no one personifies that more than junior linebacker Luke Gifford. Gifford has played all over the filed throughout his football career. At Lincoln Southeast High School, Gifford was an all-state defensive back who also put up big numbers as a dual-threat quarterback. When he arrived at Nebraska, Gifford worked at safety while he redshirted. The next year, he moved to linebacker and earned some early playing time, recording seven tackles in six games before suffering a hip injury that knocked him out for the rest of the season. Gifford struggled to see the field as a sophomore, only playing in four games and notching one tackle. Then Coach Mike Riley brought in Bob Diaco to take over as defensive coordinator and bring his 3-4 defense to Lincoln, and Gifford suddenly had a fresh opportunity. At 6-foot-3 and 235 pounds with the ability both to rush the passer and drop back in coverage, Gifford seemed like a perfect fit for Diaco’s defense in a way he never was under the old scheme. Gifford came into the season listed as the second-string Dog, or field outside linebacker, position after a close battle with senior Marcus Newby throughout spring and fall ball. However, when the defense took the field for the first time in the season-opener against Arkansas State, Gifford was on the field across from Newby, playing the Cat, or boundary outside linebacker, position. Gifford has seen his playing time increase with each game to the point where he’s been on the field for every single defensive snap each of the past two games. Gifford has played well (he’s currently leading the team with 36 tackles), but the primary reason for his increased role is his ability to line up pretty much anywhere the coaches ask him to. Though he was listed on the depth chart as a Dog linebacker, Gifford played primarily Cat the first few games because of the presence of Newby and sophomore Tyrin Ferguson at Dog. Playing the Cat spot also meant Gifford has spent a good number of his snaps with his hand in the dirt as a defensive end when Nebraska shifts into a four-man front. When both Newby and Ferguson got injured against Northern Illinois, Gifford slid right back to the Dog position as Sedrick King and Ben Stille handled the snaps at Cat and the defense hasn’t missed a beat. According to Bray, Ferguson is now at 100 percent while Newby is working his way back into the lineup, and both are expected to play against Wisconsin. Stille also had a big game against Illinois and looks to be a player who should see the field. How the Huskers will handle a suddenly deep linebacker corps will be something to watch against the Badgers, but one thing seems clear: no matter where the coaches ask Luke Gifford to line up, he is going to produce.